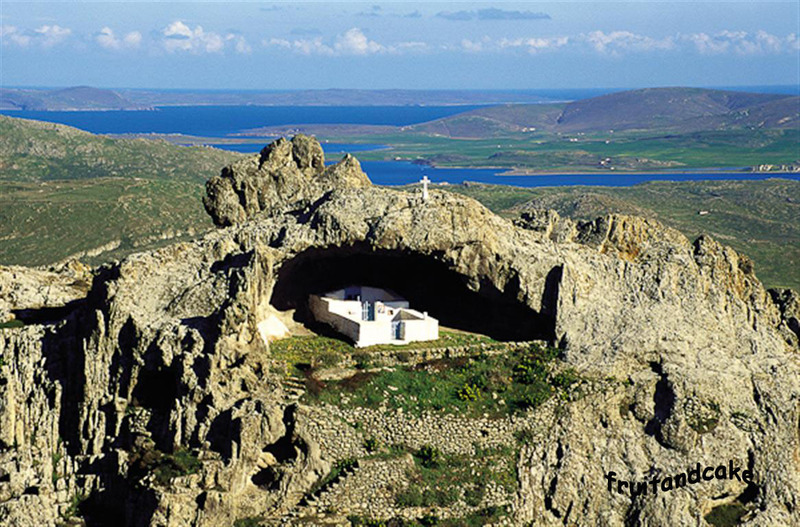 Limnos Island is the eighth largest Greek island with area of ​​438 sq km, located in the Northern Aegean Sea. The island's name translated from the Phoenician as "white" - because ofthe Limnos peaks colour that servedfor mariners as a landmark in the past. For its natural beauty and widebeaches (that actually considered as the best in Greece), the island is located out of the popular tourist path. In fact, this is an advantage rather than adisadvantage- away from the tourist crowds the island retained its pristine nature and charm.The Island is protected by Natura-2000. The locals are not spoiled by a steady stream of tourists yet and are truly happy welcoming guests ... They are not trying to rob you to the last euro, buttheopposite - they willtreat you withan additional dessert or cocktail. And do not refuse- the ywill be offended! Generally about the Limnos Taverns - usually the portions are enormous, just natural products, the food is really Greek (not "food for tourists"), most clients are locals, who can not be fooled, so the quality of food has no doubt! Be sure that you try the famous sheep cheese "limneo melihloro", that technology is described byOmir. Like other volcanic islands of the country, Limnos produces excellent wine - Muscat, that is considered one of the best wines in Greece (made from very old vines - Limni), traditional home-made retsina (white wine) and ouzo. The capital of the island - Myrina - named after the wife of the first king of Lemnos. One of the main attractions of the city is the ancient fortress Castro, built by the Byzantines in 1186. It has been rebuilt several times by the Venetians and the Turks, who took over the island. In the castle you will meet deers, walking freelyand are not afraid of humans. From the fortress you can enjoy stunning views of the beautiful bay, the city and the mountain of Athos. The hill of the fort divides the coast into two parts - Romaikos yalos and Turkikos yalos -Greek and Turkish. "Turkish" part of the coast is adjacent to the quarters where Turks settled in the ancient times. Lots of neoclassical buildings of the 19th century survived on the"Greek" part of the coast, which were home for the most merchants, who were well known in 18th century at the major markets in Alexandria, Trieste, etc. Archaeological Museum of the Island Church Museum and the Temple of the Holy Trinityare locatedIn Romaikos yalos. A monument to two Russian naval commanders Alexei Orlov and Dmitry Senyavinhas been builton Myrinaembankment in 2004. In the 19th century they helped localsto get rid of the Turkish yoke., The temple of Artemisand Poliohni city, the oldest city which dates back to the the 4th millennium BCwere excavated recentlyin 1993,are not far from Myrina! In Greek mythology, Limnos is known as the island of Hephaestus , the God of fire. As a child he was dropped by his mother from Olympus , being born lame and weak. He fell on Limnos where the locals saved him, and in return he taught them blacksmith business and opened his blacksmith shop on the island. Another interesting story from Greek mythology associated with the island - Curse of Aphrodite. The inhabitants of the island did not worship the goddess enough and she sent to the men of the island a damnation - they started to smell disgusting and local women have not touched them anymore. Men began to bring slaves to the island and turn them wives - even more irate ladys killed all males, including children. When the Argonauts, led by Yason, came to the island during their campaign for the Golden Fleece, they found only women on the island under the rule of Queen Gipsipily. Argonauts stayed on the island for 2 years. In a union of the Argonauts and the Amazons, a new tribe called Minoanswas created . Generallyspeaking, youcan find everything on Lemnos: the unique beauty of the Mediterranean, friendly locals, lots ofstories and legends, fine cuisineand the most important: excellent conditions for windsurfing and kitesurfing!